Click on the image for a larger version or click here for the Excel file version. 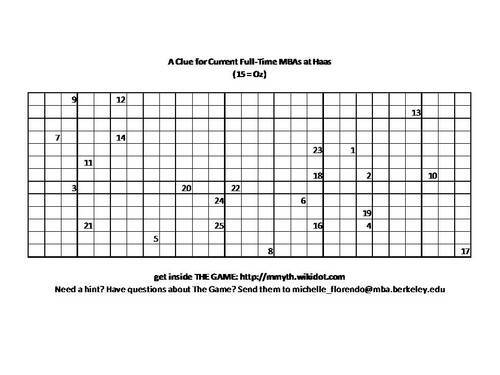 By the way, if you're not a Haas student, it may be really difficult to solve this clue, unless you're around a lot of Haas students. I promise to post a non-Haas medium level clue later this week.